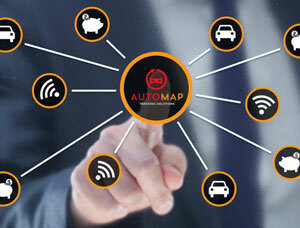 You will find your needs met with AutoMap. 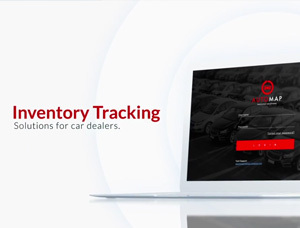 Whether you are a large dealership with multiple lots or an auction yard, we can provide the reliable system you need. Protecting your bottom line by personalizing customer service, increased sales, process control, asset tracking and inventory management. Contact Us today to see how we can help save you time and increase your ROI. The old way to audit a floorplan credit line is to physically inspect every vehicle on the lot. As you know, there are quite a few limitations with the traditional process. For one thing, the vehicle list is incomplete or out of date most of the time. 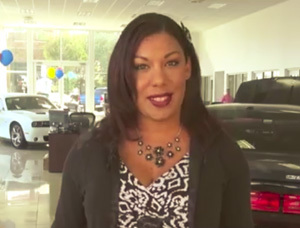 Since the goal of every dealer is to move inventory, your inspection reports are at best, a snapshot of the past. But there is a new technology that provides a more complete, accurate and up to date audit of inventory with much less effort. The secret is this patent pending device that plugs into the OBD port on any vehicle. Bluetooth technology and a failsafe encryption process, allow access to a wide range of data for each vehicle. This data is then gathered into a cloud database by simply passing thru the dealer lot with a properly configured smartphone. AutoMap brings this technology together to change your expectation about inventory audits.